Everyone experiences memory slips from time to time. You might enter a room and forget why, or struggle to retrace your steps to figure out where you left your car keys. These “senior moments” are natural with aging, as long as they don’t detract from your quality of life. If they do, you might have mild cognitive impairment, or MCI. Having MCI increases your risk of more severe cognitive disorders, but it doesn’t necessarily put you on the path to dementia. In fact, new guidelines emphasize the need to sort out the cause of MCI, while recommending ways you might preserve your cognitive function. What exactly is MCI anyways? As a middle ground between normal age-related cognitive changes and dementia, MCI is a clinical diagnosis, meaning no tests can conclusively determine that you have it. Usually, the disorder involves memory troubles, such as forgetting recent events. But, it also can manifest as problems coming up with words or difficulty following a conversation. You can develop problems with attention, concentration, or problem-solving. These cognitive changes are substantial enough that you and your loved ones may notice them, but not enough to cause severe impairments. About one-quarter to one-third of people with MCI progress to some form of dementia, Dr. Bonner-Jackson explains, while a third will stabilize and experience no further decline in cognition. Importantly, the remaining one-third of people diagnosed with MCI will improve, mainly because a reversible factor is responsible for their cognitive problems, he adds. Among those factors: sleep apnea and other sleep disorders, mood disorders (such as anxiety and depression), deficiencies in vitamin B12 and other nutrients, and use of medications that cause cognitive side effects. What are the warning signs of MCI? Friends or loved ones tell you that you repeat yourself or ask the same questions over and over. You can’t recall recent events. You have problems remembering how to complete familiar tasks. You have trouble expressing yourself verbally or following conversations. You have increasing difficulty paying attention. Places you’ve passed many times while driving seem unfamiliar to you. Instructions or sequences necessary to complete a task become more difficult to follow or interpret. You exhibit increasingly poor judgment. 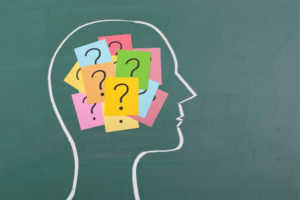 No medications have proven effective in patients with MCI, but other, non-pharmacological treatments may help you preserve your memory and thinking skills. For instance, research suggests that diets rich in leafy green vegetables, such as spinach and romaine lettuce, may offer some protection against cognitive decline. Dr. Bonner-Jackson notes that heart-healthy diets — like the Mediterranean diet (rich in fruits, vegetables, whole grains, and healthful fats such as omega-3 fatty acids) — have been associated with slower cognitive decline. In new guidelines, the American Academy of Neurology (AAN) recommends that MCI patients exercise at least twice a week, based on studies suggesting a potential benefit for cognition. And, in addition to staying physically and cognitively active, remain socially engaged, he says. Social interaction challenges your brain by forcing you to interpret words, body language and other stimuli and then respond accordingly. “We know that people who remain socially connected and continue to go out and be active in that way tend to do better,” Dr. Bonner-Jackson says. The uncertainty surrounding an MCI diagnosis can make you anxious, but it’s important not to panic or become depressed, Dr. Bonner-Jackson says. Along those lines, don’t become overly focused on your cognitive troubles or dwell on every memory gaffe you might experience. Rather, take advantage of compensatory aids to help you function better with MCI (see chart for tips). Schedule daily activities in the same order every day to benefit you the most while taxing your memory the least. Establish a “memory place” for your keys, wallet, eyeglasses or other valuable items. That way, they’ll always be in the same spot and you won’t have to search for them. Keep a visible calendar in a central space of your living area to remind you of appointments and important dates. Take advantage of technology. Use the digital calendar on your cell phone to keep track of the events in your life. Store telephone numbers in your cell phone’s contacts so you can recall them. Use the “memo” feature of your cell phone to create a to-do list or any other list you might need. Program your cell phone to give you reminders to take medications or any other important tasks.